Charles R. Hageboeck has served as a Director of City Holding Company ("City") since 2005. Mr. Hageboeck received a Ph.D. in Economics from Indiana University in 1991. He has spent most of his career in banking. He now serves as City’s Chief Executive Officer and President. Mr. Hageboeck was formerly with Indiana National Bank, NBD Bank, N.A., and Peoples Bank of Indianapolis. Mr. Hageboeck was the Chairman of the West Virginia Banker’s Association and serves on the Boards of the West Virginia Chamber of Commerce, the West Virginia Bankers Association and Thomas Health Systems. In 2012, Mr. Hageboeck was recognized as a recipient of the State Journal’s prestigious “Who’s Who in West Virginia Business” award. Mr. Hageboeck was elected to City’s Board upon becoming CEO in 2005, and is the only Management Director on the Board. 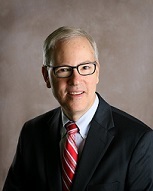 David L. Bumgarner serves as Chief Financial Officer of City Holding Company (the “Company”) and City National Bank. Mr. Bumgarner is a graduate of West Virginia University and is a licensed CPA. Before joining the Company, he was Audit Senior Manager at Arnett & Foster, P.L.L.C., in Charleston, the largest public accounting and consulting firm in West Virginia from August 2000 to January 2005. 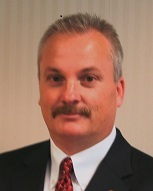 Mr. Legge is the Chief Information Officer of City Holding Company and City National Bank. He joined the Company in 1989 and previously served as Senior Vice President and Information Systems Director. 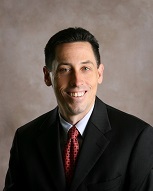 Mr. Stilwell is the Executive Vice President of Marketing, Human Resources and Retail Banking. He has been with City Holding Company/City National Bank since May 2001. Industry Consulting Leader-Financial Services, Olive LLP, Indianapolis, IN from November 1999 to May 2001. Senior Vice President-Director of Human Resources & Marketing, Peoples Bank Corp. of Indianapolis, IN from 1978 to November 1999. Mr. DeRito is the Executive Vice President of Commercial Banking and has been with the company since June 2004. He previously served as Credit Officer, Central West Virginia Region at BB&T from November 2000 to June 2004, and as Senior Credit Officer at One Valley Bank. C. Dallas Kayser has served as a Director of City Holding Company since 1995. Since January 2016, he has served as the Non-Executive Chairman of the Board of City Holding Company. Mr. Kayser received his Bachelor’s degree (economics) from Marshall University and his Doctor of Jurisprudence from the West Virginia University College of Law. He is the senior partner of Kayser Layne & Clark, PLLC and has been in the private practice of law since 1976. He is the Treasurer of Deerfield Development Company. He has served as the Chairman of the Board of Trustees of Pleasant Valley Hospital. In addition, he has served as the Chairman of the Board of Trustees of the United Methodist Foundation of West Virginia, Inc. He is a charter member of the Mason County Community Foundation. He has been a guest speaker at bank Director conferences in Chicago, IL and Nashville, TN. John R. Elliot has served as a Director of City Holding Company since 2007. Mr. Elliot received Bachelor’s degrees from Kent State University (architecture) and West Virginia Institute of Technology (health care administration). Mr. Elliot founded John Elliot Associates, Architects & Planners in 1972 and Continental Health Care Construction Company in 1980, both which specialized in the design and construction of nursing homes. In 1982, Mr. Elliot founded AMFM, LLC. Mr. Elliot currently serves as Chairman of the West Virginia Symphony Orchestra and a member of the Board of the Clay Center for Arts and Sciences. He has also served on the boards of the United Way, the YMCA, Buckskin Council, Boy Scouts of America and the Sunrise Art Museum, and as a Trustee of the AIA-WV Foundation for Architecture, giving him deep knowledge of the Charleston Economy and its leaders. Mr. Elliot was the President of the West Virginia Health Care Association and has served as the Regional Multi-facility Vice Chair and Secretary for the American Health Care Association. In 2010, Mr. Elliot was recognized as a recipient of the State Journal’s prestigious “Who’s Who in West Virginia Business” award. Charles W. Fairchilds has served as Director of City Holding Company and City National Bank of West Virginia since January 2013. He was President of Allied Ready Mix Company in Waynesboro, VA from 1987 until his retirement in January 2009. Prior to joining Allied Ready Mix Company, Mr. Fairchilds owned and operated his own machine shop business in Waynesboro, VA for over three years. He started his manufacturing career with Cummins Engine Company in 1973, holding various manufacturing positions within the company, including serving as Plant Manager of the Columbus Engine Plant. During his time in Waynesboro and Augusta County (Virginia), Mr. Fairchilds served his community in a variety of different roles including President of the Waynesboro YMCA and the Waynesboro/East Augusta Chamber of Commerce. He earned his MBA at the University of Virginia. 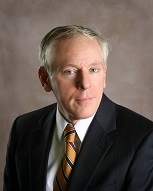 William H. File has served as a Director of City Holding Company (the “Company”) since 2001. Mr. File received a Bachelor’s Degree (political science) from Lynchburg College, Virginia, and a Doctor of Jurisprudence (law) Degree from West Virginia University College of Law. Mr. File is a Member of the firm File Payne Scherer & File PLLC and is the City Solicitor for Beckley, West Virginia. Mr. File was first elected to the Bank of Raleigh Board of Directors in 1984. He was a Member of the Board of Horizon Bancorp, Inc. from 1993 until its merger with the Company in December 1998; and, subsequently, he has been a Member of the City National Bank and the Company Boards until the present date. He is Chairman of the West Virginia Educational Broadcasting Authority that oversees public television and public radio in West Virginia, and is Past President and legal advisor to the Beckley Area Foundation. Robert D. Fisher is a Director of City Holding Company. Mr. Fisher received a Bachelor’s Degree (Finance) from West Virginia University and a Doctor of Jurisprudence Degree (Law) from West Virginia University College of Law. He is the Managing Member of Adams, Fisher and Chappell, PLLC in Ripley, WV. Mr. Fisher is active and well-known in the legal community in West Virginia, having served as President of The West Virginia Bar from 2006 to 2007. Jay C. Goldman has served as a Director of City Holding Company since 1988. Mr. Goldman received Bachelor’s degrees (business administration and real estate) from Morris Harvey College and the University of Charleston, respectively, and a Doctor of Jurisprudence degree (law) from West Virginia University. Mr. Goldman is a licensed and State-certified real estate appraiser and licensed real estate broker, as well as a member of the WV State Bar. He serves on the Board of Directors of the West Virginia Chamber of Commerce and as a past trustee of the University of Charleston. Mr. Goldman is currently President of Goldman Associates, Inc. Mr. Goldman served as a Municipal Judge for the City of Charleston and as Mayor of Charleston, WV from 1999 until 2003. Tracy W. Hylton II has served as a director of City Holding Company since 1993. Mr. Hylton is the President of Eller, Inc., President of Patience, Inc. and President of Lightning, Inc. Mr. Hylton has a number of business interests including those in coal, automotive retailing, retail and real estate. He is active with a number of civic organizations, including the Raleigh County YMCA. Mr. Hylton joined the Board of the Bank of Raleigh in 1984, the Board of Horizon Bancorp, Inc. in 1993, and subsequent to the merger with City in December 1998, the City Holding Company Board. Mr. Hylton has deep business contacts and knowledge of the West Virginia and Raleigh County marketplace. J. Thomas Jones was appointed to the Board of Directors of City Holding Company in July 2013. He was the Chief Executive Officer of West Virginia United Health System located in Fairmont, WV, from 2003 until January 2014. He has also been active in the state’s business community, and was inducted in 2012 into the West Virginia Business Hall of Fame. He has been Chair of the Board of Directors of the West Virginia Chamber of Commerce, and has served on the Boards of the American Hospital Association, the West Virginia Higher Education Policy Commission and many other local, state, and national groups. In 2008, WV Executive magazine named Mr. Jones one of the 50 Most Influential Leaders in West Virginia. 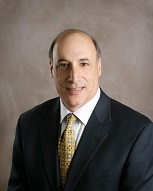 James L. Rossi has served as a Director of City Holding Company since 2001. Mr. Rossi, a licensed CPA, received his Bachelor’s degree from West Virginia University. Mr. Rossi maintained his own public accounting firm, James Rossi, CPA from September 1978 to July 2008. From July 2008 until May 2013, Mr. Rossi was the Chief Financial Officer of Valtronics, Inc. (which manufactures products for commercial and industrial clients). Mr. Rossi also serves on the Board of Directors of Fruth Pharmacy. Additionally, Mr. Rossi joined the Board of Directors of The Peoples National Bank (formerly known as The Peoples Bank of Point Pleasant) in 1997 and the Board of Directors of City National Bank in 1999. Sharon H. Rowe attended West Virginia University. In February 2013, Ms. Rowe formed a limited liability company, SHR Consulting, LLC, which provides public relations, marketing and events planning services. She retired as Vice President of Communications of The Greenbrier Resort and Club Management Company in 2005 after 27 years with the company and subsequently served as a senior consultant to two marketing communications firms until forming SHR Consulting, LLC. Ms. Rowe joined the Board of the Greenbrier Valley National Bank and Horizon Bancorp, Inc. in 1996, the Board of City National Bank of West Virginia in 1999 and, subsequently, in 2001, the City Holding Company Board of Directors. A recognized leader in West Virginia’s tourism industry, she serves on the West Virginia Tourism Commission and is past chair and member of the board of directors of the West Virginia Hospitality and Travel Association. Ms. Rowe serves as a Director on numerous boards in West Virginia including the Clay Center for the Arts and Sciences, The Mary Babb Randolph Cancer Center Board of Visitors, Greenbrier County Convention and Visitors Bureau and HospiceCare. She is a Director Emeritus of The Education Alliance. Diane Strong-Treister was appointed to the Board of Directors of City Holding Company in January 2018. Ms. Strong-Treister attended Rio Grande College and West Virginia State College. She has been the President and Owner of Manpower of WV since 1997. Ms. Strong-Treister is active in community affairs and serves on the Workforce Investment Board for the State of West Virginia, the Board of Mountwest Community & Technical College Foundation and the Buckskin Council of the Boy Scouts. In addition, she also serves on the Charleston Roundtable Committee of the Federal Reserve Bank of Richmond. Ms. Strong-Treister received her Women Business Enterprise National Council certification (WBENC) in 2016 and was recognized in 2014 as a recipient of the YWCA Women of Achievement.